At the end of 2014, after spending several months identifying a market (click here for an article on how that was done - it's +3,000 words) and finding overseas partners in Jacksonville, Florida, Ben (my real estate investing partner) and I made our first real estate investment. We purchased a single family house and have two partners in Jacksonville (a married couple). Since our partners are living in Jacksonville, they manage the property day-to-day. Although we discuss expenses, strategies and big picture ideas as a group, Ben and I have not had much contact with our property managers or contractors. Last week, we got a bit of good news from our partners. They child they were expecting had finally arrived. A happy healthy newborn boy. Of course, we were extremely happy for them. But as a group, we knew that a baby would mean they'd need more help on the operations side of our investment. As father of two kids myself, I could definitely relate to that. So with 'several balls' in the air, our partners asked for some help managing the process. Ben and I were glad to step in to assist. Here's a case study of what we did. The first thing our partners did was inform our property manager (PM) that Ben and I would be stepping in to do help our more. If you want to successfully invest in overseas real estate, you must communicate well with your property manager. Key takeaway: Although it seems obvious, make sure to keep everyone in the loop on any big changes. Over-communication is better than not enough. Otherwise assumptions can lead someone astray. Keep all relevant parties in the loop. Change always makes people nervous. Therefore, I try to put people at ease. I knew based on our partners feedback that our property manager was competent and that there might be a slight burden on her to suddenly deal with 'new voices' asking her to do things. So I first introduced myself. Help put people at ease by explaining your role. As you can see, it's short (to respect her time), includes the "yeah!!" to personalize the communication, and explains how I see my role. Again - I want to avoid mistaken assumptions by either party. I use the word 'help' because I don't want the PM to feel threatened or defensive. Also, the PM should have a much better sense of what's happening than I do, so I want to acknowledge that. In general, I want the people I work with to feel empowered when dealing with me. Key takeaway: Be professional, put people at ease, explain your role, and present yourself as working together. You can always be tougher later, as needed. We've all been trapped in "email hell" before, right? Where work we're trying to accomplish gets lost somewhere in your Gmail thread? I wanted to avoid that, so the first thing I wanted to do was organize the communication so that everyone had clarity on the four points listed above. Key Takeaway: If you cannot easily identify the five points above in an email communication, restructure the email in a way that makes it easier for people to stay focused. Here's another example of seeking clarity. Key Takeaway: Due dates and expectations help keep people on track and help establish reasonable expectations for both parties. Key Takeaway: Review your process each week and focus on how what might have slowed things down and how to remove those obstacles. Each day during the week, there was at least one update from someone. After each update, I added the update to the growing list that I was tracking. This is pretty essential when working with someone overseas. Key Takeaways:Daily check-ins or regularly scheduled updates (ie. I'll get back to you in 48 hours) are needed to keep a project moving along. You might be thinking - that's a lot of work! But it's not as much time as you may think, especially if you use some of the tools that I list below. And once you have a consistent format to use, most of your work will just be copying and pasting in updates and adding in questions and due dates. Also turning over and getting repairs done on your property are probably the busiest times you'll face when managing a property from abroad. So it's not like you'll have to do this everyday. However, the basic management project principles can be applied to any issue that might surface - having to go through an eviction, selling your property, etc. In my 17 years of doing business here in Korea, one thing I've learned about working with others is this - the more organized you are and the more organized the project is (having clearly defined goals and responsibilities), the more professionally others will treat your project and you'll usually get better results. Also, this process makes the work transparent, meaning more accountability. Since you're documenting and clarifying everything, it's hard for others to hide behind excuses like "I didn't understand.." or "I was waiting on you to do something first.."
But more than that, I believe people want to do work that is meaningful. By putting time and care into your work, you make it more meaningful for others who are involved in the project. I use a lot of online tools. And depending on how tech savvy your PM is, you might be able to use project management software such as Slack or Asana. However, to keep things simple, you can simply have a text document on your Desktop and copy and paste your original email onto it. Then as you get updates from others, you can add to that text document and copy and paste the updated document into your email and Send. For the OCD among us, it might seem terribly clunky. But sometimes simplicity trumps an elegantly designed solution. 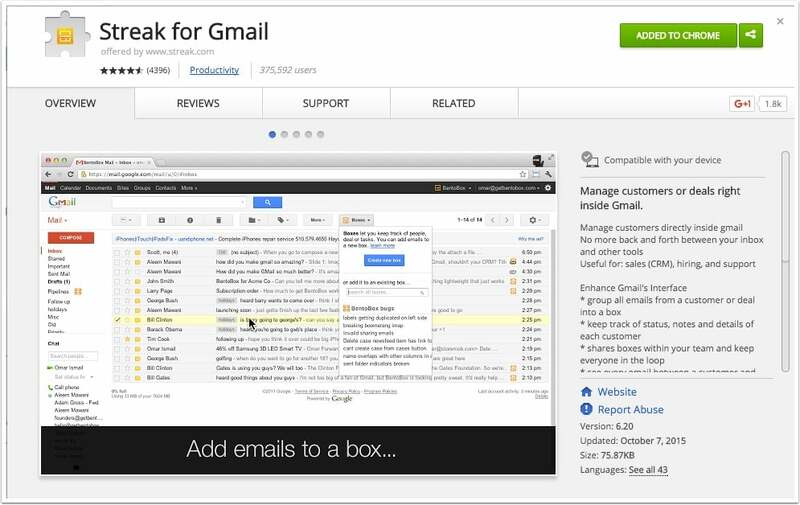 I use Gmail on my Chrome browser. I downloaded the extension Streak. I don't use the other features but one function that I absolutely need is its ability to Snooze Emails. That way, after I send out an update, I'll set a Snooze until the next morning. Then it'll pop up in my email box again and I'll know it's time for me to request an update or send out another. Did I handle that situation well? What are you comments and feedback? Comment below.